This leaflet tells you about our complaints procedure and how to make a complaint. It includes information about what you can expect from us when we are dealing with your complaint. Any expression of dissatisfaction about our action, or lack of action, or about the standard of service provided by us. If you need to complain about something, we encourage you to do so. Anyone can make a complaint to us. You can complain directly to us, or if you would rather have someone make the complaint on your behalf, we can deal with your representative. This could be a relative, a carer, a friend or any other person that you choose. You can also seek advice of the Patient Advice and Support Service, via the local Citizens Advice Bureau, which can help you to make your complaint. If you agree to someone making the complaint on your behalf, it is important for you to know that we will need to ask for your permission for us to deal with that person. your dissatisfaction with our policy. We realise that it is not possible to list everything that you can complain about. If you want to complain about something that we have not listed above, we encourage you to do so. a complaint about which you have commenced legal proceedings, or have clearly stated that you intend to do so, rather than pursue the matter using the NHS complaints procedure. We also realise that it is not possible to list everything that you cannot complain about. If other procedures can help you resolve your concerns, we will give information to help you. You can complain in person at the place where you have received care, treatment or advice, or where the incident that you want to complain about happened. You can also complain by phone or in writing. Wherever possible we encourage you to speak with a member of staff. 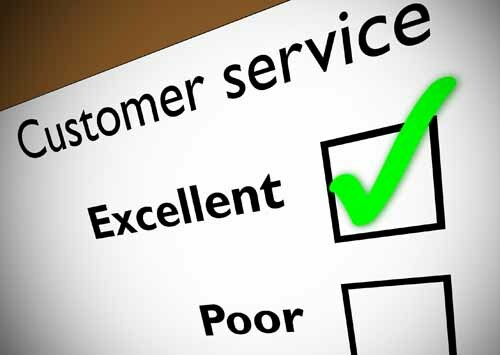 It’s easier for us to resolve complaints if you make them quickly and directly to the service provider concerned. So please talk to a member of our staff in the service you are complaining about. We will always try to resolve any problems on the spot if it is possible to do so. any suggestions you have on how we might resolve the problem. Giving us this information will help us to clearly identify the problem and what we need to do to resolve matters. In exceptional circumstances, we may be able to accept a complaint after the time limit. If you feel that the time limit should not apply to your complaint, please tell us why. If we decide that, because of the time that has passed since the incident occurred, we cannot consider your complaint, you can ask the Scottish Public Services Ombudsman (SPSO) to review our decision. We aim to resolve complaints quickly and close to where we provided the service. Where appropriate this could mean an on-the-spot apology, and explanation if something has clearly gone wrong, and immediate action to resolve the problem. Sometimes we will have to make some enquiries before we can respond to your complaint. We will give you our decision at Stage One in five working days or less, unless there are exceptional circumstances. If we cannot resolve your complaint at this stage, we will explain why and tell you what you can do next. We might suggest that you take your complaint to Stage Two. You may choose to do this immediately or sometime after you get our initial decision. If you are still dissatisfied with our decision or the way in which we have dealt with your complaint when we have sent you our full response, you can ask the Scottish Public Services Ombudsman (SPSO) to look at it. events that happened, or that you became aware of, more than a year ago; or a matter that has been or is being considered in court. We are committed to making NHS services easy to use for all members of the community. In line with our statutory equalities duties, we will always ensure that reasonable adjustments are made to help you to access and use our services.